Josep Ruà. Estudio Diseño de Interiores, Exteriores y Decoración. | we love green. CLIENT_Victoria shoes. CAMPAING TITLE_We love green. LOCATION_Bread & Butter Berlin, MICAM-Milan & Modacalzado-Madrid. DIMENSIONS_60m². FURNITURE_Alberto Sánchez-MUT design. 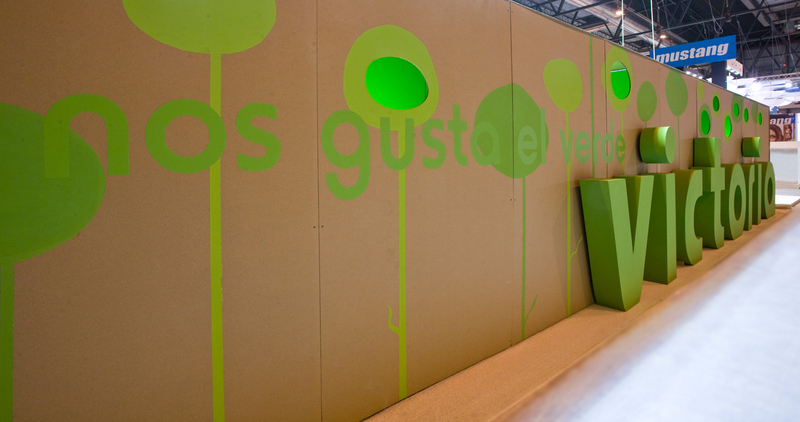 ABOUT_ Following the premise of the three “R” (reduction, recycling and reusing), Nelly Dominguez and Josep Ruà suggested the need to think global, consistent with the ecologic campaign promoted by the footwear brand: “We love green”. 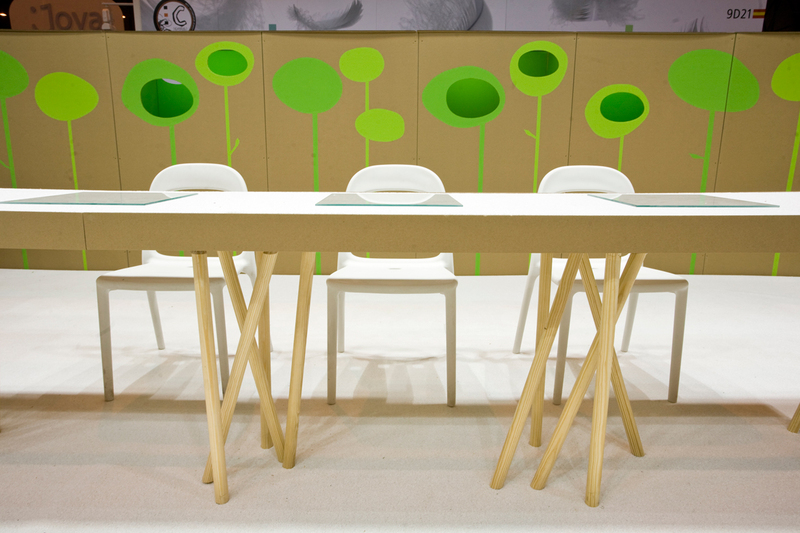 Its products, aside from being useful, are ecological and committed to social and environmental sustainability. The concept is born from the idea of illustrated trees sending out a strong message: action is required in order to create a different world, a world full of life and color. 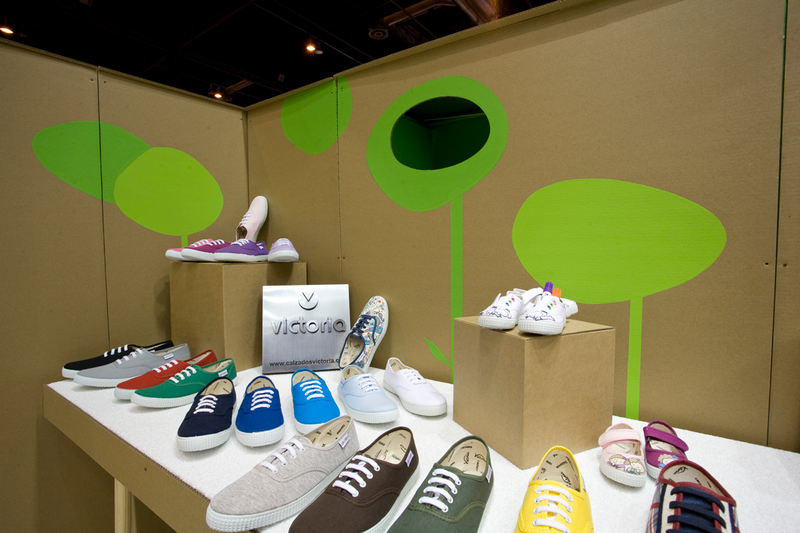 The booth was made of recycled materials. Stiff cardboard was used to build the perimeter walls. 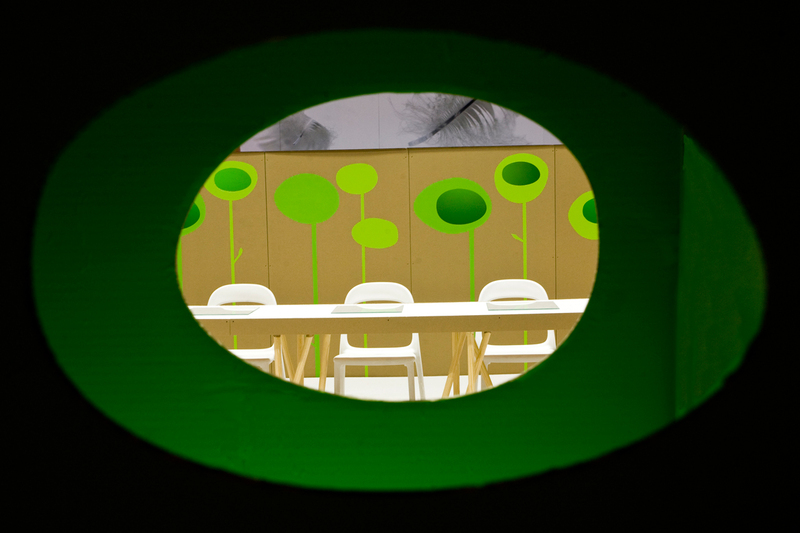 It was punctured to outline a wood lit up in green from the inside. The floor was made of white rubber grass and challenging customers to image how a monochromatic world would be. The furniture was designed for the occasion. The perimeter exhibitors were horizontal cardboards glued to each other to form a lid leaning on loads of wooden legs, in a deliberate mess. 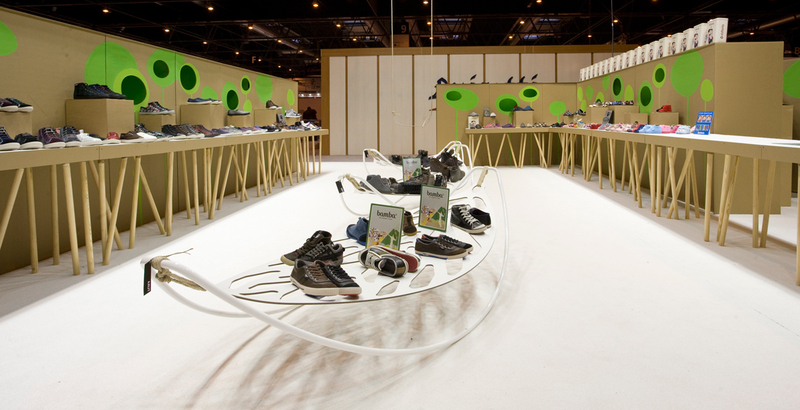 Hammocks and designer leaf-shaped swings worked as central exhibitors. Against this monochromatic space, Victoria’s footwear burst into vibrant colors. And thus the message is conveyed: Victoria sells natural basic shoes. We work to preserve biodiversity, natural life, color and happiness. Join our cause. Use our shoes for this small detail alone might succeed in changing the world. 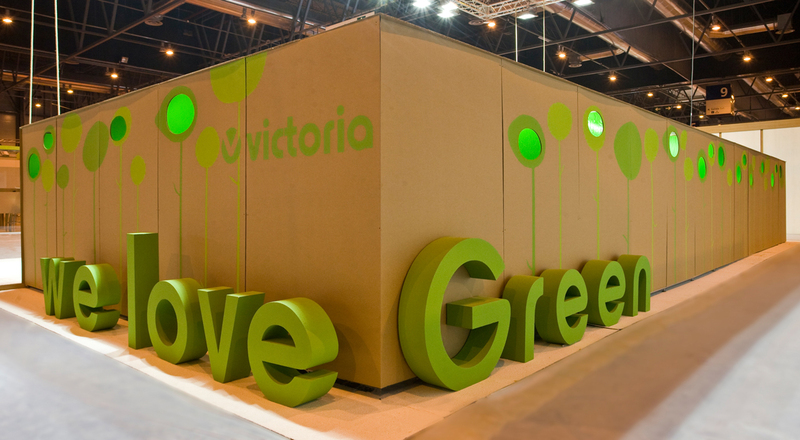 Indeed, we love green.